A lot of people can be put off by wine dinners as they can often be viewed as a bit stuffy and boring. Not at The Marker, these guys know how to create not only an exciting menu but an exciting evening. Our night began with a “Botanic Gin” reception on the uber chic Rooftop Bar & Terrace, thankfully the weather prevailed and although a little chilly, the cosy blankets and heated terrace soon had us sorted. The view alone is enough to rave about as anyone who has popped up here will tell you. A great space for people to mingle and get to know each other before dinner, the beautiful botanical layered gin was a real talking point and a recipe all of us gin lovers were keen to learn. We were brought to our table in the contemporary Marker Brasserie for a sit down five course tasting menu designed by the talented Executive Head Chef Gareth Mullins, to compliment the Penfolds wines selected on the night. Before service Gareth spoke briefly about the menu and it’s Aussie/Asian influence and explained how having spent many years working in some of the top kitchens in Australia that this was a an easy pairing for him to work with. 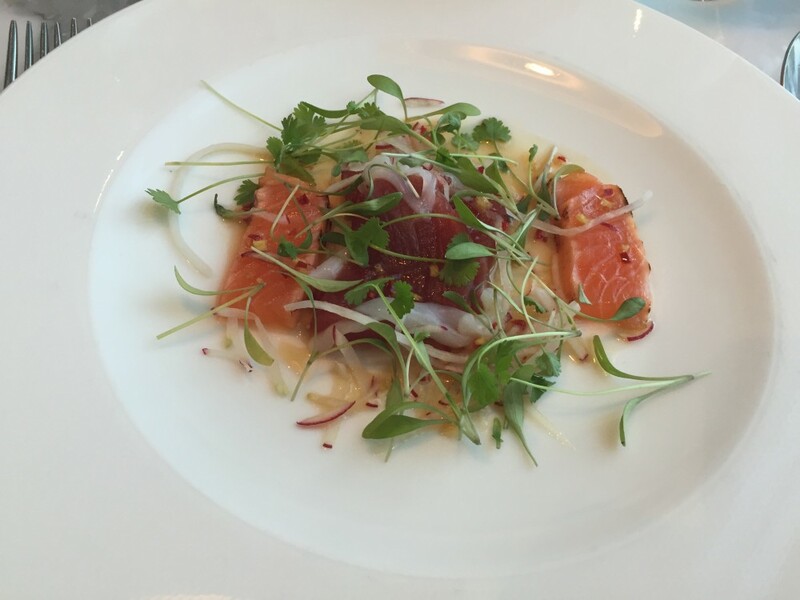 First up we were treated to a delicate plate of Sashimi of Tuna & Salmon with slivers of cuttlefish topped with a mirin dressing, which is similar to a mild sake and was the perfect sweet lift to the fresh flavours. Paired with a Koonunga Hill, Autumn Reisling 2013, subtle in dryness and ideal for the sashimi. Chardonnay, as explained on the night by Penfolds charismatic Brand Ambassador Sam Stephens seems to have fallen out of flavour on many Irish palates. 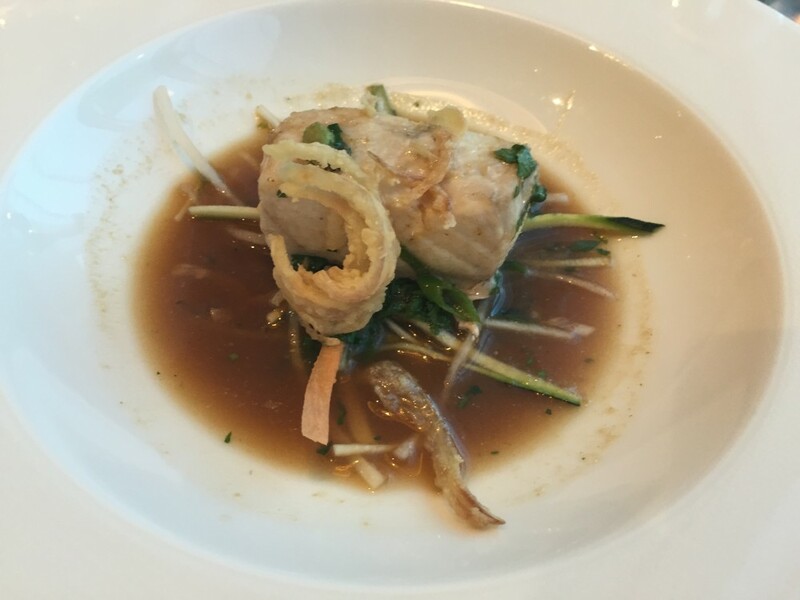 This course of Steamed Barramundi in a Tom Yum Goong broth with zesty lime and crispy shallots was, he assured us, about to challenge any misconceptions of this oaky grape we may have. This time a Koonunga Hill Chardonnay 2012 complimented every element of Gareth’s deliciously constructed dish. Quail is one of those gamey flavours that can often divide opinions, another testament to this chef’s ability to create dishes that turn flavours on their heads. 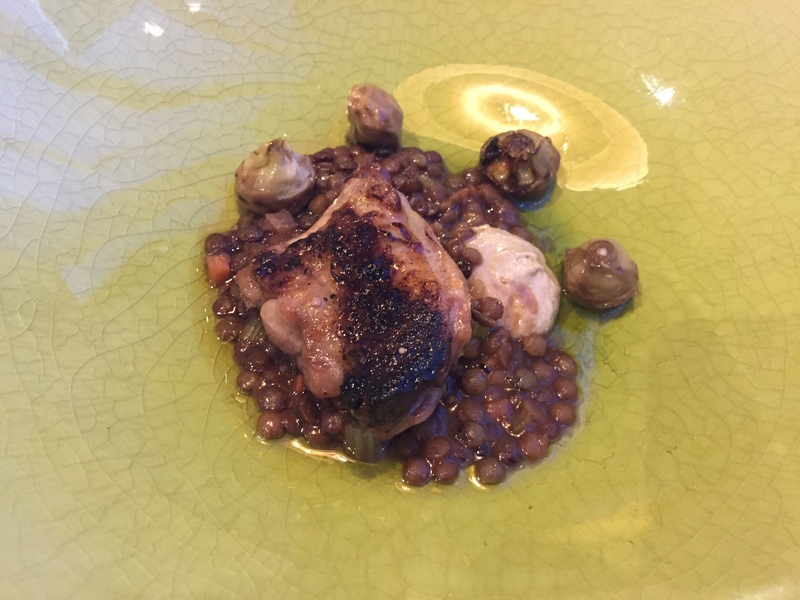 A gently Flamed Quail Breast with intricate, baby artichoke, peppery puy lentils set in a sherry vinegar was presented with a silky smooth Koonuga Hill Sevety Six, Shiraz Cabernet 2012. Surf and Turf “Mullins style” is something I would gladly order every week (if the succulent waygu beef wasn’t so pricey). One of the things we loved about the evening was the value for money with top quality produce served in every dish. 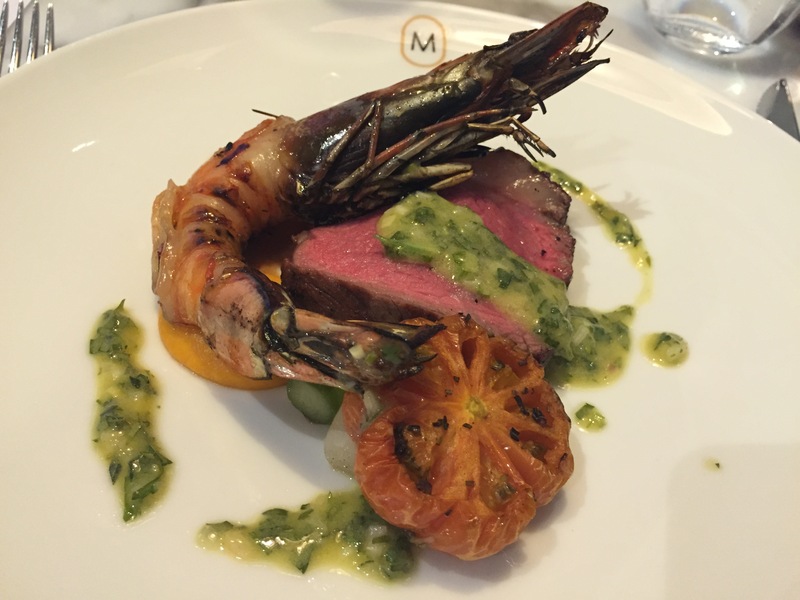 Mullins explained how he had gone to great lengths to source the wagyu beef direct from Australia for the night and nestled beneath a plump, juicy gambas was indeed a stunning piece of beef. Cooked quite rare to retain all of the succulence and unique flavour that only Wagyu appears to possess. No denying this was the highlight of the evening for many. The exceptional Kalimna, Bin 28, Shiraz 2011 honoured the beef in the way it well deserved. Perfectly in season and a nod to Irish produce, dessert was a fun, diverse dish of seductive little Wexford strawberries in a cucumber coulis, crunchy granola and vanilla ice cream served with a mini cucumber and elderflower botanic gin in a cute little miniature cola bottle. The dinner, including the superb wine pairings and the gin reception was €75pp and represented excellent value for money. This marked the first wine dinner of 2015 for The Marker and hopefully the beginning of a more regular feature on the foodie calendar. Mullins cooking and charismatic personality make dining here a true pleasure. This is an Imaginative Taste we cannot recommend enough.